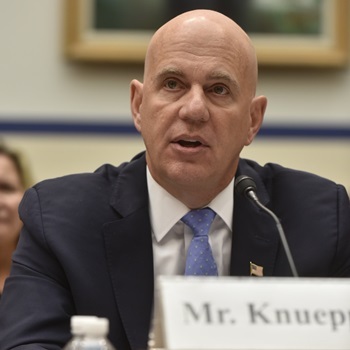 SEPTA's Jeff Knueppel testifies before the House T&I Subcommittee on Railroads, Pipelines, and Hazardous Materials. Jeff Knueppel, general manager of the Southeastern Pennsylvania Transportation Authority (SEPTA) and chair of APTA’s PTC Subcommittee, represented APTA at a Sept. 13 hearing before the House Transportation and Infrastructure Subcommittee on Railroads, Pipelines, and Hazardous Materials on the state of Positive Train Control implementation in the United States. Knueppel described how each commuter railroad has its own unique and complex operating environment, and PTC systems must be tailored to meet those specific operating requirements, noting how “APTA has actively worked to assist the commuter rail industry with PTC research, development, installation and implementation, including by participating in FRA’s Rail Safety Advisory Committee.” Read Knueppel's testimony here. Other witnesses included FRA Administrator Ron Batory, NTSB Chairman Robert Sumwalt, Amtrak COO Scot Naparstek and AAR President & CEO Ed Hamberger. View the entire hearing here. The Regional Transportation Commission of Southern Nevada's Tina Quigley testifies before the Senate Committee on Commerce, Science, and Transportation. Also, APTA invited a group of commuter railroad CEOs to Washington to meet with key House and Senate members and staff to emphasize the strong and continuous progress of commuter railroads in implementing PTC. Participants included Knueppel, James Derwinski of Chicago's Metra, Henry Stopplecamp of Denver RTD, Richard Dalton of Virginia Railway Express and APTA government affairs staff. Read more about the fly-in in the Sept. 24 issue of Passenger Transport. 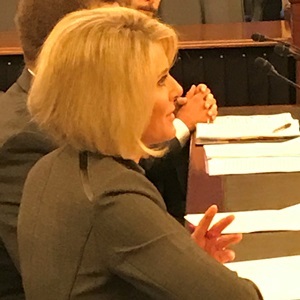 Separately, Tina Quigley, general manager of the Regional Transportation Commission of Southern Nevada, testified at a hearing before the Senate Committee on Commerce, Science, and Transportation on emerging technologies. Urging the need for collaboration between public and private partners and among local jurisdictions and government agencies at all levels, Quigley said, “We need to work together to ensure we are developing policies, building infrastructure and creating vehicles that can accommodate the mobility of the future. Congress has a significant opportunity, with the upcoming reauthorization of the FAST Act, to help develop, support and invest in the infrastructure of tomorrow.” View the entire hearing here. As Hurricane Florence threatened the coasts of North and South Carolina and Virginia, APTA was in contact with public transit systems in these regions, many of which were assisting in extensive evacuation and other efforts. Early in the week, the Waccamaw Regional Transportation Authority (Coast RTA), Conway, SC, began evacuating residents from the coastal region. This service, which was suspended Sept. 13, picked up evacuees at 20 designated bus stops and transported them to emergency shelters. Orange County Public Transportation in Hillsborough, NC, began providing on-demand transportation to emergency shelters on Sept. 13. The agency also adjusted its normal routes so each bus would stop at one of the shelters. Among the agencies suspending service as the hurricane approached were The COMET, Columbia, SC; Chapel Hill (NC) Transit; GoTriangle, GoRaleigh, GoDurham and GoCary in the Research Triangle Park area of North Carolina; and the Santee Wateree Regional Transportation Authority, Sumter, SC. Hampton Roads Transit in Hampton, VA, announced that it would resume service on Sept. 16, a day earlier than anticipated, because the projected path of Hurricane Florence had changed. Polly Hanson, APTA’s director of security, risk and emergency management, is available at phanson@apta.com to answer questions and work with affected systems. APTA’s thoughts are with all members of the public transportation community, their families and neighbors at this challenging time. FRA has announced a Notice of Funding Opportunity (NOFO) for at least $46 million for PTC Systems Grants, with applications due by 5 p.m. on Oct. 12. This NOFO represents the balance of the $250 million PTC Consolidated Rail Infrastructure and Safety Improvements (CRISI) Program that remained after selections were announced in August, with funds available for deployment of PTC systems technology for commuter rail, intercity passenger rail and/or freight rail transportation. See the Sept. 12 Federal Register notice here. House and Senate Appropriations Committees continue to work to resolve differences in their respective versions of the Transportation, Housing and Urban Development, and Related Agencies (THUD) funding bills for 2019. APTA sent a letter to the chairmen and ranking members of the committees Sept. 10, expressing its positions on several pending issues. Read the letter here. Allow commuter railroads to use Consolidated Rail Infrastructure and Safety Improvements grants for costs associated with operating and maintaining PTC technology after implementation is complete. Prohibit U.S. DOT from implementing new policies (as outlined in FTA’s “Dear Colleague” letter) that would create costly burdens and delay CIG projects. FTA has announced a Notice of Funding Opportunity for $6.3 million in competitive grant funds for transit coordination projects that improve access to healthcare. FTA's Access and Mobility Partnership Grants focus on transportation solutions to medical appointments and other non-emergency healthcare services. The grants will help improve options for people with limited transportation choices and bridge the gap between service providers in the transportation and health sectors. See the Sept. 13 Federal Register notice here. Also, FTA has issued a request for expressions of interest for the Expedited Project Delivery Pilot Program authorized by the FAST Act, to be submitted by 11:59 p.m. Nov. 13, 2018. This program is aimed at expediting delivery of new fixed guideway capital projects, small starts projects or core capacity improvement projects that use P3s, are planned for operation and maintenance by employees of an existing public transportation provider and have a federal share not exceeding 25 percent of the project cost. Read the Sept. 12 Federal Register notice here. More information is available from Susan Eddy at 202-366-5499 or susan.eddy@dot.gov. Almost 17 years after a terrorist attack destroyed the World Trade Center and MTA New York City Transit’s (NYC Transit) Cortlandt Street Station, the New York Metropolitan Transportation Authority has opened a new station, WTC Cortlandt. You can read more in the Sept. 24 issue of Passenger Transport. What will it take to make the cities of tomorrow both smarter and safer? 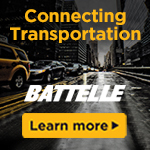 Building safety into Intelligent Transportation Systems. Intelligent Transportation Systems are transforming the way people and goods move through busy cities and traffic corridors. And they’re also paving the way to a safer future. Get the whitepaper to learn more. Today (Sept. 14) is the last day to register online and receive a discount for APTA's 2018 Annual Meeting in Nashville. The public transportation industry's premier event of the year is just over one week away, and we look forward to seeing you there! After today, we invite you to register on site at the Music City Center in Nashville. While at the Annual Meeting, be sure to stop by and discover the latest in public transportation technology and innovation at the Products & Services Showcase. View the Showcase Exhibitor Directory here. Public Transit Investment Pays Off—The city of Indianapolis is learning that beefed-up public transit service quickly translates to more riders—with IndyGo reporting ridership up 3.4 percent this August compared to the previous year. Gwinnett Launching Service in Snellville—Gwinnett County (GA) has selected a portion of the city of Snellville for a six-month pilot of a new, on-demand, door-to-door bus service. Storytelling Finds Magnificent in the Mundane—BUSted is a showcase of storytellers recounting tales from the front lines of L.A.'s buses, trains and sidewalks—like "The Moth," but where the theme is always public transit. Seth Rogen Inspiring City to Change Public Transit Experience—The Canadian-born actor is the voice of announcements for TransLink, and his role is inspiring at least one U.S. public transit agency.